In this post are guidelines on how to enable and disable google+ profile views count. Displayed on a google+ profile are the number of followers and the profile details. Also displayed is the profile views count which shows the number of times a person's profile has been viewed on the internet, thereby measuring the popularity of a person . 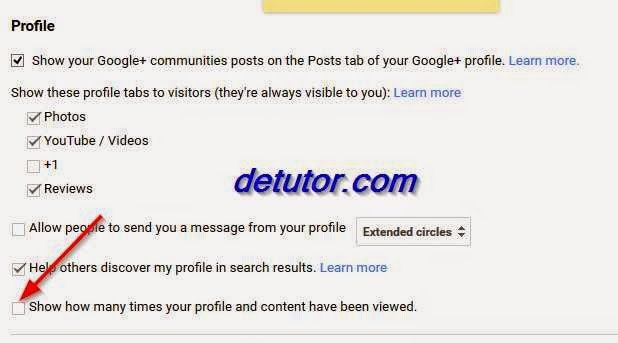 But for those who have low profile views, which could make people decide if theyr'e popular enough to be followed or for those who don't want this feature to be added when their profile is viewed, here's how to disable Google+ views count on your public profile. Place your cursor on 'profile' which appears on the left top tab. From the drop down menu, select 'settings'. Scroll down to ‘Profile Section’ in the page. Uncheck the option 'show how many times your profile and content have been viewed'. The changes is automatically saved. On viewing your profile, the views count will not be shown again. 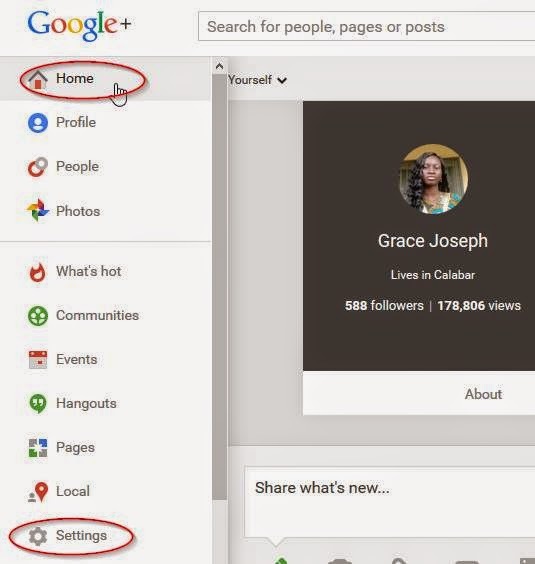 You can follow the same steps in enabling google+ post view count on your profile.